The Voigtlander name made a resurgence in the early 2000's and they offer many interesting lens options in Nikon, Canon, and Leica mounts. These are, however, made by Cosina in Japan and are only Voigtlander by name. 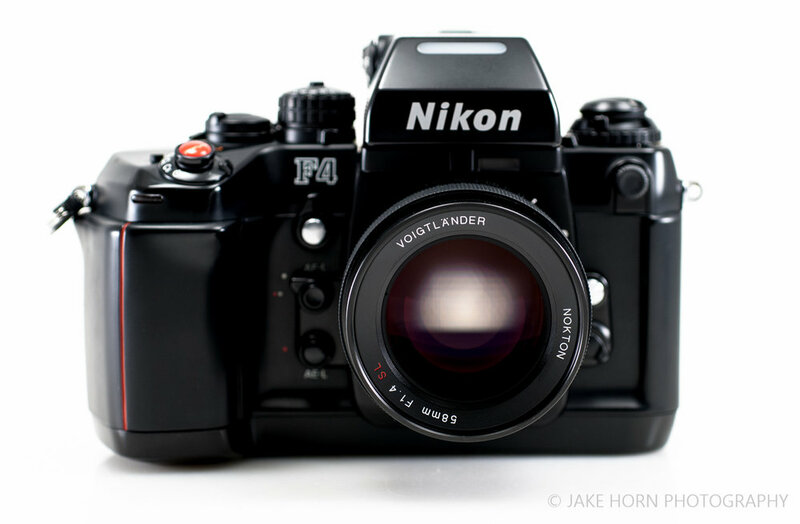 This 58mm SL II is version one (out of two). The second version has some nice cosmetic upgrades. From an optical and mechanical perspective, consider the two versions to be the same. This lens is a great performer in terms of image quality. I shot this lens a ton during my digital days and was consistently impressed when zooming in on images. On film, naturally, images are just as tack sharp as the digital files. While I am a huge fan of the rubber focusing ring for the tactile feel, it tends to collect a lot of dirt. I got this lens before the second version with the metal ring came out. If I were purchasing it today, I would go with version two as I prefer the classic look which heralds back to the Pre-Ai style. While on the focus grip, I do find the focusing movement a bit stiff. The rotation is smooth, but the start and stop motions are tight. This is fine for composing static shots, but can be cumbersome when shooting subjects that are on the move. One other item to note is that this all metal construction, with metal hood, weighs in at just under 350 grams. 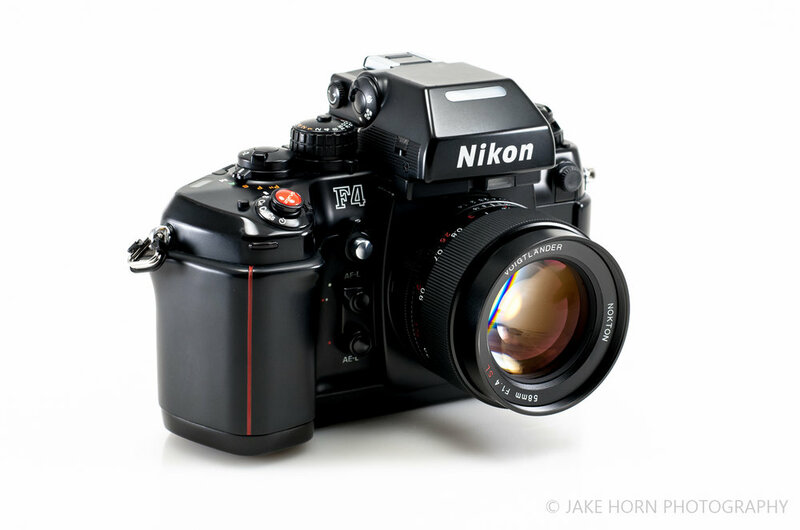 That's amazing considering the Nikon 58/1.4, which has a plastic housing, is 385 grams! 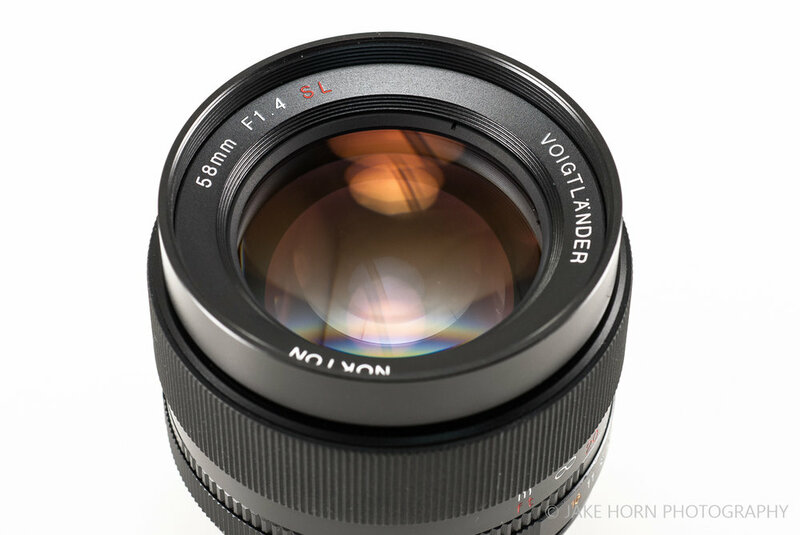 I am disappointed that the Voiglander branded hood, sold specifically for this lens, is not included. Instead, they charge $60 (new) for something that is included with other lenses. I decided to forgo Cosina's marked-up hood and went with a generic brand. It works just fine blocking unwanted side light. This hood is approximately 22mm in length and is vignetting free stacked on a polarizing filter. The one functional issue that I take exception with is the aperture ring stops are in fill stop increments only. While the operation of the ring is very nice, with satisfying clicks at each marking, I like to have a little more precision with an all manual lens. I guess they figure most people will utilize the chip feature and leave aperture selection to the camera body. If you're not in need of an auto-focus 58mm, this is the best value I could find. 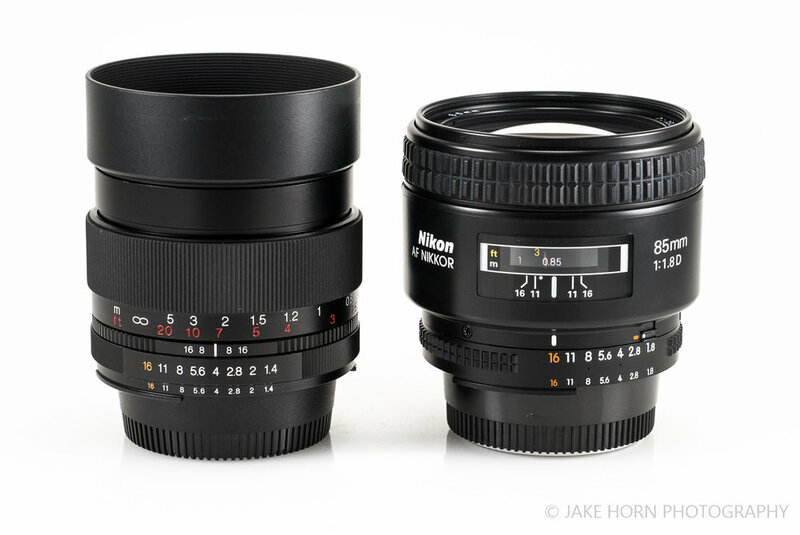 There are people that try to compare this lens to the Nikon 58mm/1.4 simply because they have the same focal length, but for practical purposes, it can be compared to any 50mm lens. The only positive I can see by going to the Nikon 58mm is that you get an additional aperture blade and the blades are the curved type (rather than straight). This provides much smoother bokeh for creamy out of focus backgrounds. But is this feature, plus auto focus, worth the 2.7x price hike? If I shot events like weddings, I would say yes, but that would be the only time. I feel this 58 pairs extremely well with a small 21mm or 24mm wide prime to create a high performing, light weight travel kit. 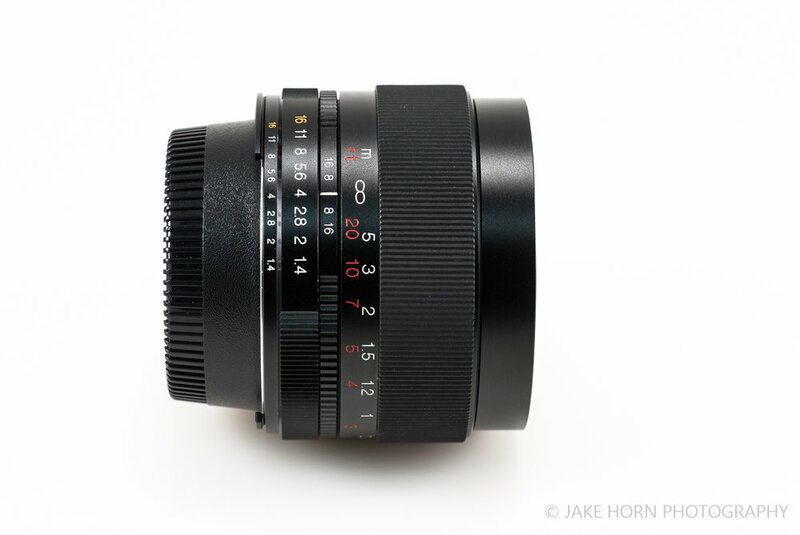 If you're sick of cheap feeling plastic Nikon lenses, but don't want to pay Zeiss prices, this Voigtlander is the perfect fit.